Blitz, taken from Blitzkrieg (lightning war). It is a team defensive play in American or Canadian football in which the defense sends more players than the offense can block. Doppelgänger, literally double-goer, also spelled in English as doppelganger; a double or look-alike. 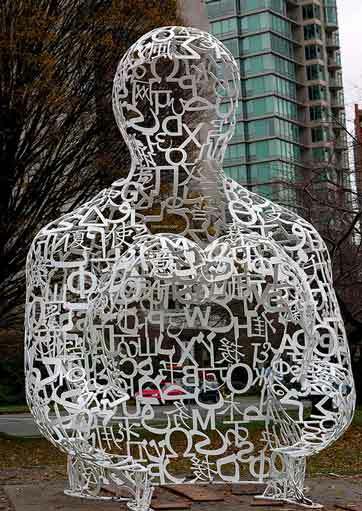 However, in English the connotation is that of a ghostly apparition of a duplicate living person. Ersatz, replacement; usually implying an artificial and inferior substitute or imitation. Hamburger, sandwich with a meat patty and garnishments. kaput (German spelling: kaputt), out-of-order, broken. Karabiner, snaplink, a metal loop with a sprung or screwed gate, used in climbing and mountaineering; modern short form/derivation of the older word ‘Karabinerhaken’; translates to ‘riflehook’. The German word can also mean Carbine. Kindergarten, literally children’s garden; day-care centre, playschool, preschool. Kitsch, cheap, sentimental, gaudy items of popular culture. Muesli, breakfast cereal (German spelling: Müesli or Müsli). Poltergeist, literally noisy ghost; an alleged paranormal phenomenon where objects appear to move of their own accord. Poodle, from German Pudel, breed of dog. Pretzel (Standard German spelling: Brezel), flour and yeast based pastry. Pumpernickel, type of sourdough rye bread, strongly flavoured, dense, and dark in colour. Sauerkraut (sometimes shortened to Kraut), fermented cabbage. Schadenfreude, joy from pain (literally harm joy); delight at the misfortune of others. Spritzer, chilled drink from white wine and soda water (from spritzen = to spray). Strudel (e. g. Apfelstrudel, milk-cream strudel), a filled pastry. uber, über, over; used to indicate that something or someone is of better or superior magnitude, e.g. Übermensch. Wanderlust, the yearning to travel. Wiener, hot dog (from Wiener Würstchen = Viennese sausage). Wunderkind, literally wonder child; a child prodigy. Zeitgeist, spirit of the time. 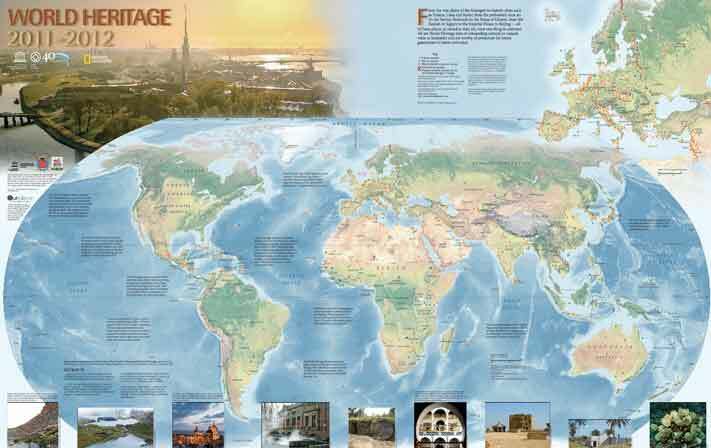 This large format full-color map features the World Heritage sites and brief explanations of the World Heritage Convention and the World Heritage conservation programmes, as well as superb photos of World Heritages sites with explanatory captions. Download the PDF version – English, French, Spanish, & Korean.